One of the new features when you updated from Windows 8.1 to Windows 8.1 Update 1 is the capacity to show the running Windows App right on the Taskbar of your desktop. You can see what applications are running now without opening the Task Manager or App List, and close them in that spot. How helpful that can be as it may, it can additionally be overpowering and get your Taskbar space crowded as well. Along these lines, if you don’t like the idea having running App showing on your Taskbar, you can deactivate it. Also its not difficult to do. Go to your desktop, right-click the Taskbar and pick Properties to open Taskbar and Navigation Properties dialog box. 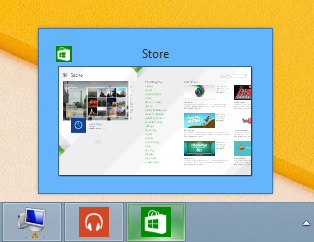 Clear the checkbox “Show Windows Store applications on the taskbar”. Click OK to save the setting. Also That is it. Later on, if you need to go back, simply go to the same properties screen and check the alternative on again.